In this post I’m going to talk about what causes Meniere’s disease. It’s important to know what causes the problem that you are suffering from as often when you have that understanding it can place you in a better position to take action to prevent or manage the progression of your condition. So in a nutshell, with Meniere’s Disease there is a problem with the absorption of a certain fluid in your inner ear. This causes a build up of pressure and eventually a rupture. The rupture causes your episodes of vertigo and tinnitus (whoosing or ringing in your ear). When the rupture heals, your symptoms ease. 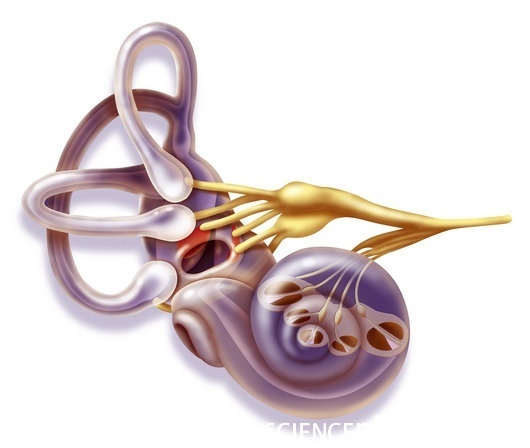 Your inner ear has two types of fluid in it, perilymph and endolymph. They are contained within the vestibular portion of your inner ear. They are seperated by a thing called the membranous labyrinth. Endolymph is contained within the vestibule and your perilymph is outside of it. Normally the two fluids don’t mix, and they are contstantly being produced and removed from your ear. In Meniere’s disease there is a problem with the reabsorption of the endolymph and the pressure builds up, eventually causing a rupture in the membrane, when the fluids mix, the symptoms of Meniere’s result. As the process repreats, long term damage can result. 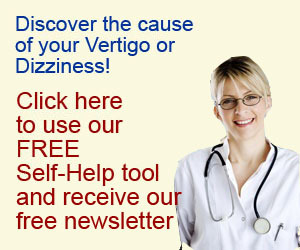 Unfortunately these bouts of vertigo also have effects in your brain as well. When the information travelling into your brain is altered over a period of time, your brain can develop faulty adaptations, causing problems not only during your vertigo bouts, but inbetween as well. This needs to be treated with a brain rehabilitation programme. So please leave me your comments below. How does this fit with your understanding of Meniere’s? Have you found this post useful or is there something you would like me to elaborate on further? Post a comment using the form below. Thanks! You said that Meniere’s patients need to be treated with a ‘brain rehabilitation programme’ Can you expand on that a little please? I have had bi-lateral Meniere’s since 1987 [my mother had it also] and would love to hear about anything that would help. Currently I take Serc at supper time and Lipo Flavinoid and Potassium 99mg in the a.m. and it seems 🙂 to be helping. I was on just Serc a.m. & p.m, but was suffering a lot of attacks so now am trying a combo of “Natural” & medicines. so far, so good. Thanks for any input. Hi Jacke, thanks for your comment. The question you asked about the brain rehabilitation is a great one so I have put together a post on it that can be reached by clicking here. I hope it helps!